Whether it was eating dog unintentionally in Indonesia, meeting the rapper 50 Cent at a backpackers or kicking a US nuclear submarine in New Zealand, A Maverick Traveller is filled with the unique stories and experiences of Mary Jane Walker. Mary Jane has travelled to all corners of the globe - to large cities, visited rural villages and tiny unknown islands off the coast of continents. A Maverick Traveller is a mixture of laughter, culture shock, amazement and sadness, it is a compilation of Mary Jane's adventures and discoveries abroad to date. Mary Jane's love of travel takes her to the top of Ben Nevis in Scotland and Mont Blanc in France, she even spent time naked on a Chinese Junk and visited a secretive US military base. She has seen iconic buildings like Antonio Gaudi’s Sagrada Familia in Spain, the Taj Mahal, St Basil’s Cathedral and many of the world's natural wonders even climbing the foothills of Mount Everest to Base camp! 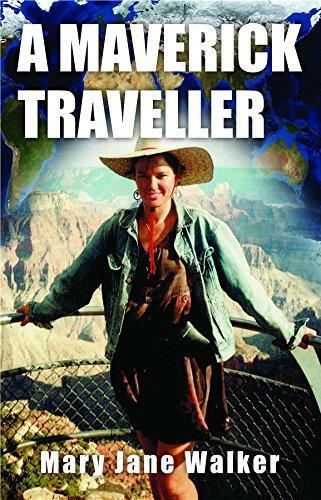 If you love reading about travel, getting down to ground level with cultures and communities or just love travel full stop then A Maverick Traveller is a must read! This is an intriguing, funny and thought-provoking book filled with amazing travel stories, the story of Mary Jane Walker. • A Maverick New Zealand Way is about Mary Jane’s outdoor adventures all around New Zealand, and about New Zealand’s often overlooked cities as well. It was released in May 2017. • A Maverick Australian Way is about Mary Jane’s travels and experiences over several decades in Australia, a country which has changed noticeably since she first went there in the early 1980s. Mary Jane also plans to release this book in 2018. To share Mary Jane’s travelling experiences from the comfort of home — or otherwise, to gain a richer perspective on destinations that you may be about to travel to yourself — read on!